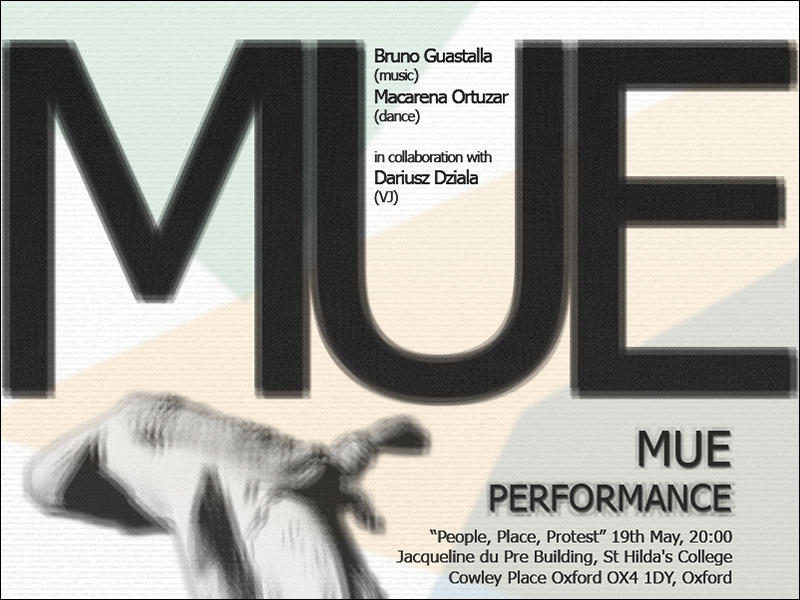 MUE at Jacqueline du Pre building Saturday 19th May ‘People, Place, Protest’ | who's that knocking...? As part of the ‘Hearing Landscape Critically’ conference, M@SH present a concert of music reflecting on protest, and how music can be composed to create the sense of an individual and a place. Featuring electronic music by Trevor Wishart and Dan Jeffries, alongside chamber music, folk flavours, improvisation and theatrical performances. And some viola da gamba too. MUE (Dance/Sounds/VJ) will be taking part in the foyer, and on the grounds, towards the end of the evening. This entry was posted in dance, butoh, movement, diary, events, improvisation, music, pictures. Bookmark the permalink.